This is an experiement to see how well I can model simply from Curvy Lathes and Primitives without using any sculpting brushes. Then on the right is a Voxel Merge of the primitives. The sketched Lathes follow similar shapes to those that would be used in a 2D sketch of the same subject. N.B. 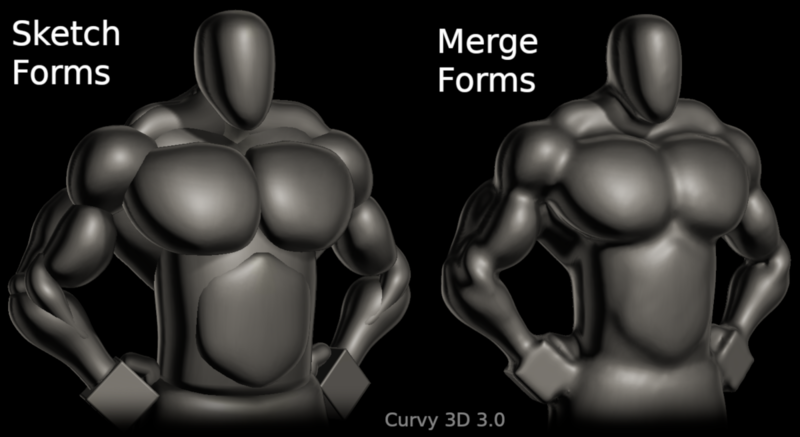 This is a Curvy 3D 3.0 sculpt. This speed up a lot the modeling process to a near final model, just need the sculpting brushes for the end. nice work!